Australian megachurch Hillsong will see the premiere of its first ever film, "Hillsong — Let Hope Rise," released in May following news that Relativity Studios will distribute the project. On Wednesday, Matt Alvarez, who's overseeing the project for Relativity, the third-largest mini-major film studio in the world, said the studio is "excited" about the highly anticipated film. 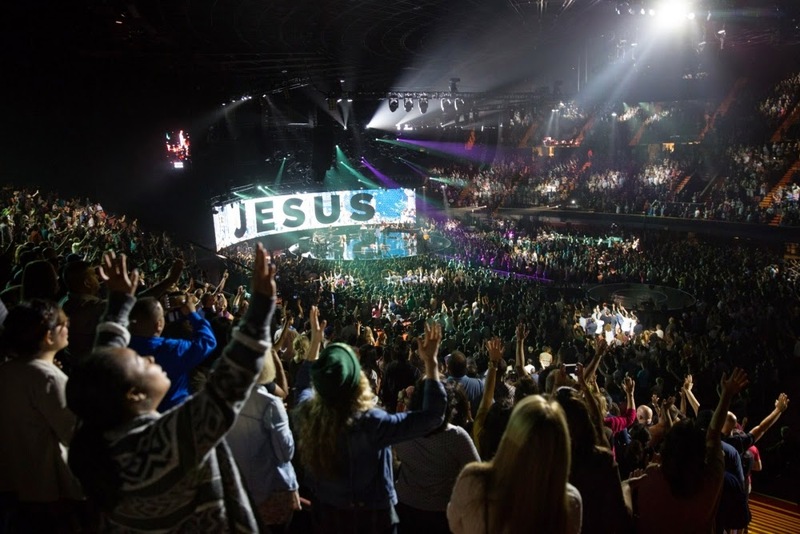 "Hillsong — Let Hope Rise" chronicles the journey of Australian worship band Hillsong United, which began in 1998 as a pastime for youth at church and has since grown into a global sensation. "We are excited to share 'Hillsong — Let Hope Rise' with moviegoers across the United States. Chronicling this Christian band's humble beginnings to their present day worldwide ministry is truly remarkable and worthy of their story being told on the big screen," Alvarez said in a statement. The news comes more than one month after major film studio Warner Bros. pulled the film from its distribution. The Dove Award-winning band is led by Joel Houston, the son of Hillsong founders, and pastors Brian and Bobbie Houston. All 11 band members are said to be either volunteers or employees of the church. "The crazy thing about this movie is none of us really took it seriously in the beginning," Houston said. "But, you know what? The thing about Hillsong United and Hillsong Church is that God took some pretty ordinary kids and some pretty ordinary people, and over 30 years has actually done something quite significant. It's something none of us could have done on our own." The film is produced by Jonathan Bock of Grace Hill Media, and Matthew Weaver and Ben Field. Phil Cooke of Cooke Pictures has been named as an executive producer, along with Wayne Hughes Jr. and Greg Campbell of Cantinas Entertainment, who's financing the project. In 2013, Hillsong United's third studio album Zion peaked at No. 1 on Christian album charts in Australia, the U.S. and the United Kingdom. Last year, the band scored its first-ever American Music Awards nod in the Contemporary Inspirational Artist category. Bock commended the band in saying that despite their success, they remain humble and focused on what's important — spreading the Gospel through music. "With songs like 'Mighty to Save,' 'Oceans,' 'Lead Me to the Cross,' 'Hosanna' and 'From the Inside Out,' anyone who regularly attends a church knows Hillsong's music by heart. That's how influential they've become," Bock said. "And yet, despite the fame and adulation, they're still just an unpretentious worship band trying to do what hundreds of thousands of other worship bands try to do every week — glorify God through their music. How they balance that is a fascinating and surprising story.